The last week has been quite crazy and chaotic, and it has kept me away from my blog. So much has happened, both good, bad and other. The GREAT news is my mom is feeling better, and we’re hopeful that the doctors can find the cause and best treatment for her blood pressure. But I’m so very excited about some incredible recent developments!! My career path has taken a most amazing slight shift towards another one of my biggest passions: music. So get ready for some fab blog posts about my passion for awesome music, which goes so well with my fashion, design and art loves. During my week of absence, the boy and I dined at Jiraffe (yes, with a “J”), a fabulous Santa Monica restaurant that should definitely be added to your go-to list for LA dining. ~ delicious with some great unexpected flavor combinations. Great start to the meal. 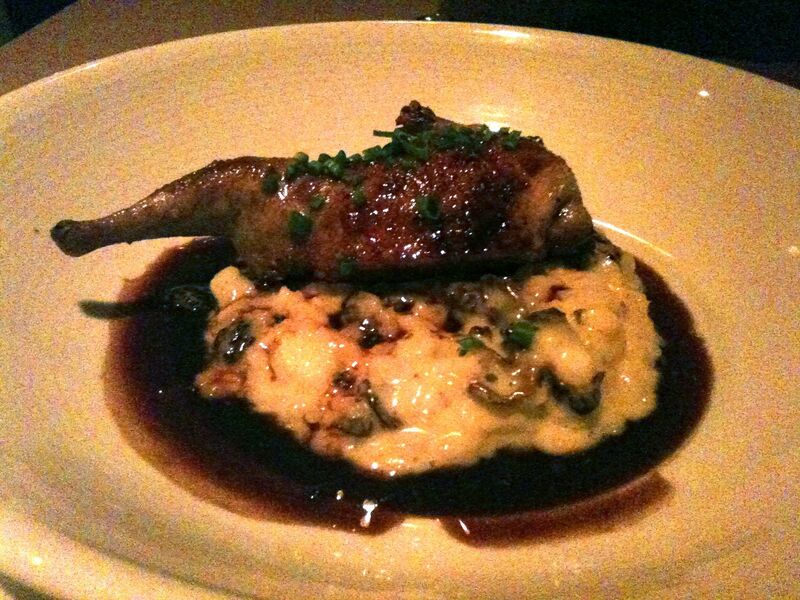 ~ perfectly cooked, tender and tantalizing… should have been called an appe-teaser! ~ although the raviolis are hard to see in my poor photo, I can tell you they were wonderful. 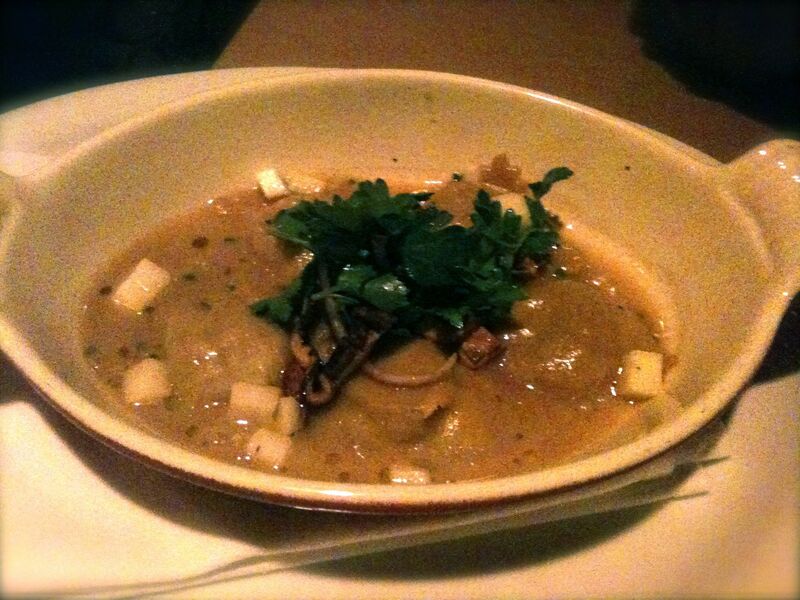 The earthy combination of the mushroom and gouda in a blanket of creamy sauce was delectable. 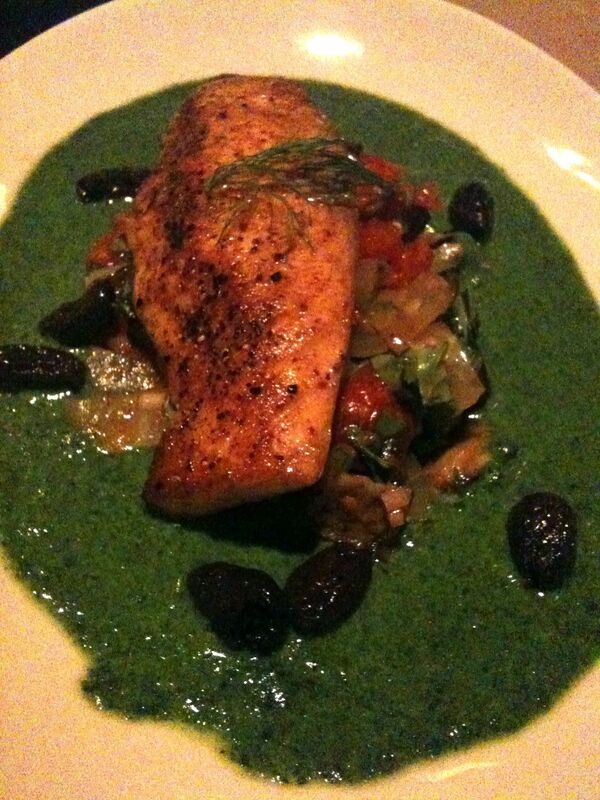 ~ the salmon was light and moist, and the caponatta sauce was an explosion of fresh basil, parsley, garlic and lemon. I wanted to lick the plate clean. ~ it was like warm molten lava cake, but lighter and not as overpoweringly sweet. Heaven. 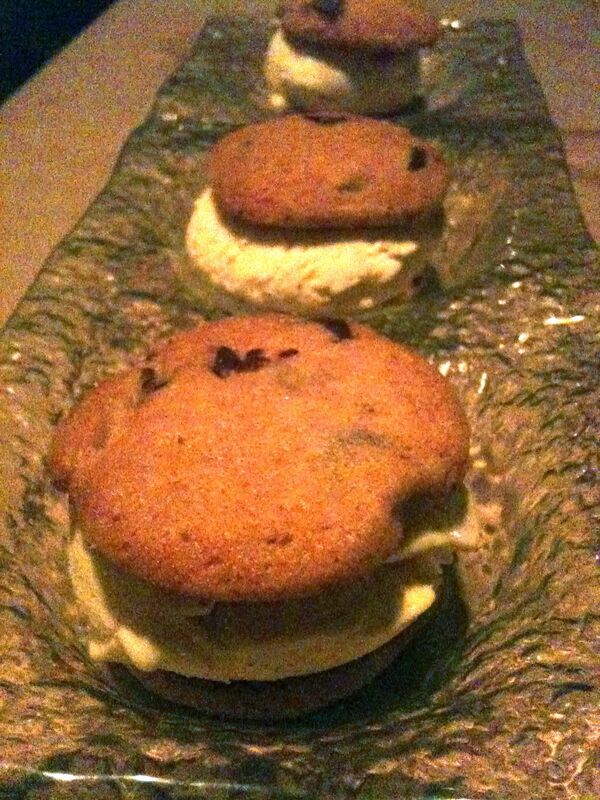 ~ moist cookies and creamy ice cream. We were just missing the cold milk! ~ this was by far one of the best desserts I’ve had in a long time. And this is coming from a proud chocola-holic. 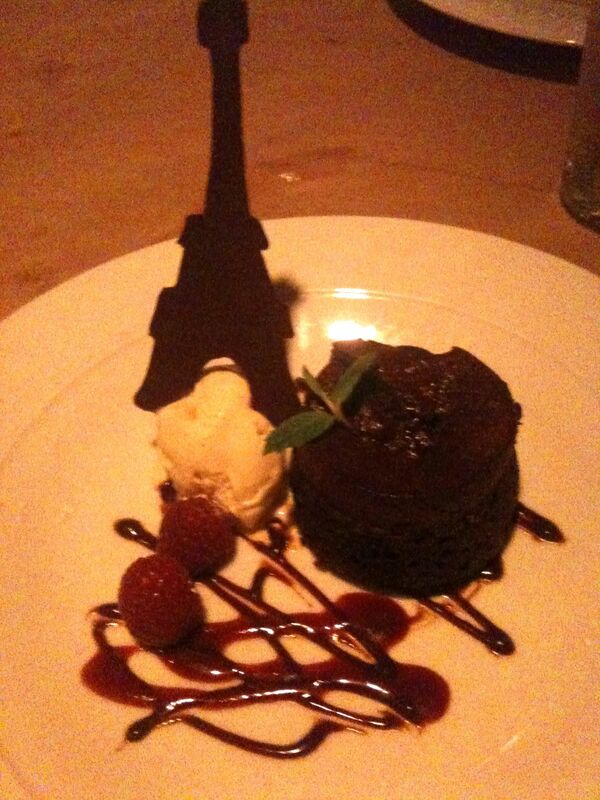 I could eat this dessert everyday. 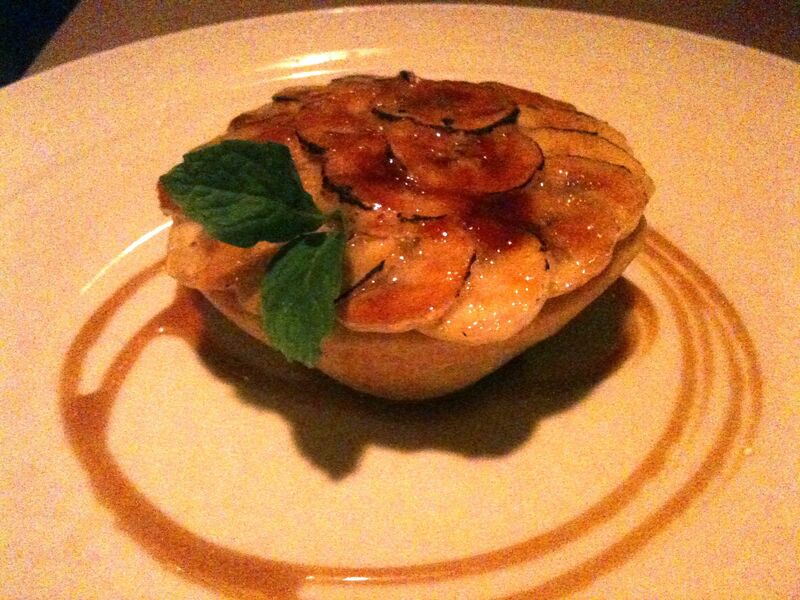 The bananas weren’t overly ripe or sweet, the cream filling light, and the crust was flaky and perfect. It was all just perfect! In case you wondered, the waiter brought the one dessert we didn’t order on the prix fixe menu, but said it was ours to enjoy anyway. We certainly didn’t NEED the extra dessert, but we definitely didn’t turn it away either! Not to be forgotten or overlooked was the excellent service we also received. Our waiter was pleasant and warm, and made our wonderful evening all the more wonderful. 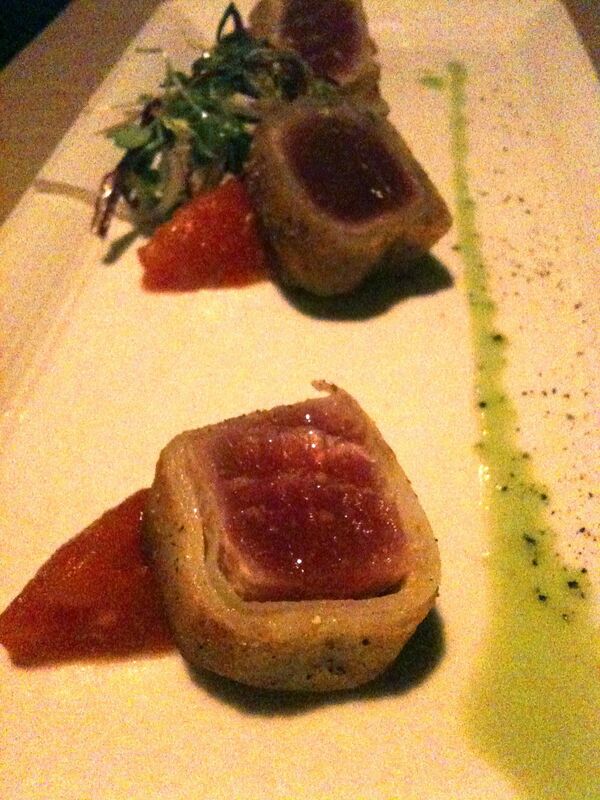 On your next trip to LA, be sure to swing by Jiraffe for a guaranteed fabulous meal. I can’t wait to get back there soon. And as a matter of fact, my new career path has brought me within blocks of Jiraffe – this could be a bad great thing!! See you there for dinner, bon ami!! It all looks delicious! Look forward to the fab music!!! Me too!!! The music adventures will be great, indeed!!! My first adventure: Nashville. I’ve never been and can’t wait!! !